Khalifa Fund for Enterprise Development (KFED) recently organized the ‘Boot Camp’ phase of Pitch@Palace GCC 1.0, where 15 qualified entrepreneurs attended an intensive practical and analytical training. The coaching programme was designed to help them gear up for the final pitching event, showcasing their innovative ideas to top-level leaders and decision makers. The two-day Boot Camp programme, held at Khalifa Innovation Centre in the Khalifa University in Abu Dhabi, was attended by The Duke of York and Founder of Pitch@Palace Global who launched the Pitch@Palace Global initiative in 2014; Hussein Jasim Al Nowais, chairman of Khalifa Fund for Enterprise Development, Abdulla Al Darmaki, CEO of Khalifa Fund for Enterprise Development; and VIPs from the UAE and the region. Al Nowais welcomed the strategic partnership between the Fund and the Office of HRH The Duke of York, which provides a unique platform for entrepreneurs to showcase their projects to key decision-makers. 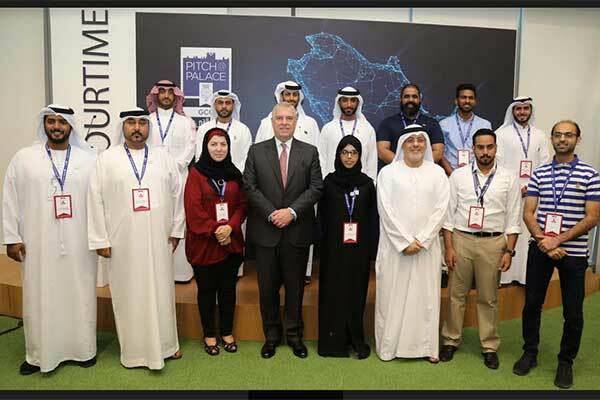 “Following the success of the first edition of Pitch@Palace UAE and its positive impact in the country and the region, Khalifa Fund took the lead to extend this competition to the neighbouring countries as well. Today, we remain fully committed to continue our quest for excellence and become role model at the local, regional and global levels in fostering a culture of innovation that encourages entrepreneurs to dream big and to equip them with the necessary resources to transform this dream into reality,” he added. This year’s Boot Camp focused on innovation as the cornerstone of entrepreneurship, success, sustainability, growth and progress. The programme combined practical masterclasses that encouraged entrepreneurs to explore various approaches to innovation, and analysis sessions that delved in detail into various business models and their transformation and expansion as a result of innovation. Participants received valuable insights into the various banking requirements and formalities, drawing up a perfect business plan, developing a professional legal framework to ensure the success of their efforts and various investment opportunities in the field of technology. Masterclasses were made about real-life success stories of small companies that dared to innovate and incorporate technological advancements into their business operations. Participants also received the golden chance to review their pitches in detail, which helped them to gear up for the final pitching event. The Boot Camp was designed to train15 qualified entrepreneurs that included eight Emiratis and seven nationals from Saudi Arabia and Bahrain. The UAE edition of the competition witnessed a high turnout this year, with 91 participants, out of which 63 were selected for the first and second on-tours.